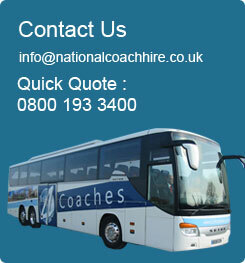 National Coach Hire have an impressive history when it comes to corporate coach hire, we have been servicing the needs of 100′s of blue chip corporate clients for many years, from major banks to nationwide supermarkets and major software houses to name a few. National Coach Hire are your first choice for airport transfers, we have operators ideally placed all over the UK and can cater for any UK airports, whether it be for a transfer of 7 passengers or a movement of an entire plane load of passengers. National Coach Hire can assist you with your corporate branding; there is no easier way to get your message across than to have a coach branded with your corporate identity when holding a road show or similar event. Thank you for your enquiry. One of our staff will be in touch with you very soon.